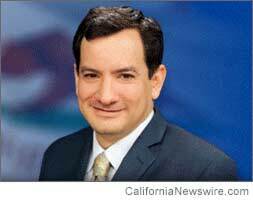 LOS ANGELES, Calif. /California Newswire/ — The State Legislature today approved Assembly Bill 530, Assemblyman Anthony Rendon’s (D-Lakewood) proposal to create a comprehensive restoration plan for the Lower Los Angeles River. It now awaits the Governor’s signature. AB 530 establishes a local working group tasked with updating the L.A. River Master Plan to develop a revitalization plan for the Lower River, which has long been neglected while the City of Los Angeles has done substantial work restoring the Upper River within the city’s boundaries. AB 530 moved through both the Assembly and Senate with unanimous support. Gov. Brown has until October 11 to consider AB 530. Assemblyman Anthony Rendon is serving in his second term representing the 63rd Assembly District, which includes the cities and communities of Bell, Cudahy, Hawaiian Gardens, Lakewood, North Long Beach, Lynwood, Maywood, Paramount, and South Gate.